Scenic Cruises has added an eight-day “Dutch Sights and Belgian Delights” river cruise to Holland and Belgium departing April 14, 2014. The cruise from Amsterdam includes Keukenhof Gardens and touring the canal city of Bruges. Those who book standard staterooms by Oct. 31 get free flights while reserving a balcony cabin nets $900 savings per couple. 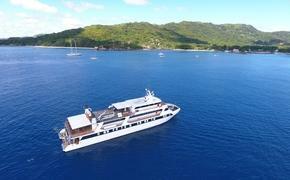 Prices range from $2,735 to $3,960 per person, double.